The Vertical Flight Foundation (VFF) Scholarships are awarded annually by AHS International to both undergraduate and graduate students who have expressed interest in seeking careers in the rotorcraft industry. The scholarship program was established in 1977, and since then, 62 different Georgia Tech students have won the award 72 times! And….we’ve had at least one winner every year for the past 15 years! Students can win the award up to three times, once as an undergraduate student, once as an M.S. student and once as a Ph.D. student. The award monetary value can range anywhere between $1000 and $5000. Applications are due every year on February 1st. More information on the application . To learn more about the VFF scholarships, visit their homepage “here”. Georgia Tech took home 4 VFF awards in 2018: Chams Eddine Mballo (AE), Brian Eberle (ME) Max-Daniel Sokollek (AE), Nicholson Koukpaizan (AE) (not shown). Our 2018 winners are shown in the picture, along with AHS advisor Dr. Marilyn Smith, and advisor of students Prof J.V.R. Prasad and Prof Jon Rogers. Not shown is Prof Dimitri Mavris. All of our winners since 1977 are also listed at the following link, including current GTAE professor, Dr. J.V.R. Prasad! The Lichten Competition is an annual competition, open to all members of AHS International who have not previously presented the results of their work at a regional, national, or international conference. Georgia Tech students have the opportunity to participate in the Southeast Region Lichten Competition for a chance to compete in the National Lichten Competition. The national winner is awarded a $1500 travel stipend to the AHS Forum, plus hotel accommodations, free Forum registration, and an additional $500 stipend. More information about the Lichten Competition. Georgia Tech students have won the Southeast Region Lichten competition on numerous occasions, most recently Aarohi Shah in 2018 on her work titled: Closed Loop Approach to Structural Health Monitoring for Critical Rotorcraft Components. Previous winners of the Southeast Lichten Competition from Georgia Tech are listed below. The Nikolsky Lectureship is a highly distinguished award in the vertical flight community, awarded annually awarded to an individual who has a highly distinguished career in vertical flight aircraft research and development. Georgia Tech is proud to claim three past Nilolsky Lectureship winners, Dr. Dewey Hodges in 2014, Dr. Daniel Schrage in 1998, and Dr. Robert Loewy in 1984. We are also proud to acknowledge former Georgia Tech professor, and current adjunct professor, Dr. David Peters, who won the award in 2008. AHS Technical Fellowships are awarded annually to members of AHS International whose career-based technical accomplishments significantly advance the interests of the vertical flight community. 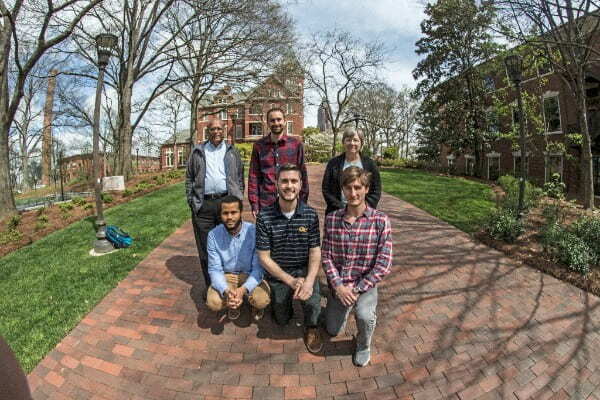 Georgia Tech is proud to claim a number of these technical fellows over the years. Our past technical fellows are listed below.